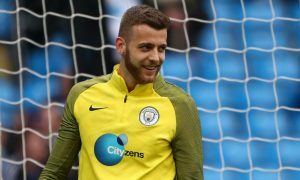 Southampton have completed the signing of England under-21 international goalkeeper Angus Gunn from Manchester City for an initial £10million, rising to £13.5million with add-ons. Gunn has signed a five-year contract with the Saints and will challenge Alex McCarthy for the number one spot at St Mary’s. The 22-year-old spent last season on loan at Norwich City, making over 50 appearances and impressing. Unluckily for him, City found an absolute gem in Ederson, practically giving the youngster no route into regular football at City, with his best hope being to replace Claudio Bravo and play cup games. It is thought that City have inserted a buy-back option in the deal, a clause included in many sales of prodigious young players lately. Angus said on joining Southampton: “The opportunity was there for me to stay at Manchester City but I saw the potential of this club and the squad. “The manager and Dave Watson were a big part of the reason why I have chosen to join and speaking to them both was a big factor in my decision.